Lovettsville Elementary School, Lovettsville, Virginia. Sunday, February 19, at 2:00 pm. On Sunday, February 19, 2017, the Lovettsville Historical Society will continue its 2017 Lecture Series with a presentation by Loudoun County historian Wynne Saffer on the Fairfax Land Grants in Loudoun County. 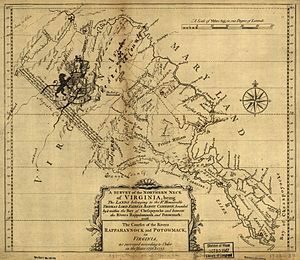 If you live or work in Loudoun County, the ground under your feet – in fact, all the land between the Potomac and Rappahannock Rivers — once belonged to the 5th and 6th Lords Fairfax, stemming from a grant by King Charles II of England. Fairfax land agents sold patents of large tracts of land to land speculators, who in turn sold or leased smaller tracts of land to settlers and plantation owners. If you trace title to any tract of land in Loudoun, or Lovettsville, back far enough, you will end up with a Fairfax. German squatters from Pennsylvania occupied some of the lands in this area starting in the 1730s – much of which remained in Fairfax hands. Over time, the Germans and other settlers had their “lease for lives,” and generally did not or could not buy property until after the American Revolution. Wynne Saffer, a life-long resident of Loudoun, and a winner of the Balch Library History Award, has documented and mapped all of the Fairfax land grants in Loudoun County. He will describe how we went from all the lands in the hands of one owner, to the many tens of thousands of separate properties today. He will describe the difference between land grants and patents, and how this grew into our modern system of land ownership today. The program will be held at St. James United Church of Christ, 10 East Broad Way, Lovettsville, Va., at 2:00 p.m. Admission is free, but donations are welcome to suppport the Lovettsville Historical Society and the Lecture Series. For more information, visit www.lovettsvillehistoricalsociety.org. March 12, 2017 — “C. F. Wenner and C&O Canal Navigation at the Opening of the Civil War,” by Tim Snyder, author of Uncertain and Precarious: C&O Canal Navigation at the Beginning of the Civil War. April 16, 2017 – “Myths about Lee’s Surrender.” What really happened at Appomattox–separating myth from fact. By Patrick Schroeder, Historian of Appomattox Court House National Historical Park. May 21, 2017 – “Mapping the Short Hill,” by Loudoun County historian and map-maker Eugene Scheel. 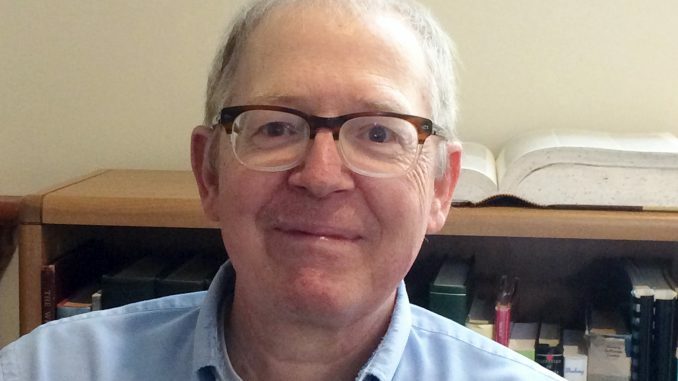 June 11 — Colonial Life in Maryland and Virginia, by Prof. Paul McDermott. The History of Lovettsville’s Methodist Churches. Becoming a member of the Lovettsville Historical Society supports our mission of preserving and promoting the history and heritage of Lovettsville and the surrounding area formerly known as “The German Settlement.” LHS is a tax exempt organization under section 501(c)(3) of the Internal Revenue Code. Memberships are tax deductible, and support our operations, acquisitions, and events. Click on our Membership tab and join us today! The Lovettsville Historical Society & Museum publishes a free monthly email newsletter/magazine with announcements of upcoming local history lectures, and events of local interest. Don't miss out on the fun! Add yourself to our e-mail list. Click here to subscribe. Displayed at the Museum are many artifacts, photographs, household articles, tools, and other items from this area. We also offer research assistance in our cozy research library containing an archive of local family genealogies and other historical information. The Lovettsville Historical Society & Museum is committed to preserving and promoting the history and the heritage of the Town of Lovettsville and the surrounding area formerly known as "The German Settlement." Plan your next outing to visit the Museum, arrange a group tour, or attend our monthly lectures. Open Saturdays 1:00-4:00 and by appointment year-round, except for major holidays. Located in the former Potterfield Butcher Shop in historic downtown Lovettsville at 4 East Pennsylvania Avenue, Lovettsville, VA, 20180.